Ski Tak Hut has a rich history. Originally the shop started in1976 by Art and JoAnn Hobson. They both grew up in the Comox Valley and were avid sports enthusiasts and skiers. At that time Art’s parents, George and Maude Hobson, ran a ski retail and rental shop at Forbidden Plateau and the idea of a downtown location seemed like a viable business concept to compliment the on hill rental. SKI TAK HUT – what’s in a name? Now a couple of questions we often get asked about Ski Tak Hut, is where did the name come from, and what does it mean. Well, back in the days of Forbidden Plateau the local rental shop, Becher Ski Rentals, there was a little retail section that sold ski accessories and some equipment. The name Ski Tak Hut was given to this section of the rental shop. It was the late Sid Williams that coined the phrase, “tak” which he said was short for tackle… like fishing tackle or horse tack… so translated it means ski equipment or gear. Ski Tak Hut means ski gear hut or ski equipment hut. 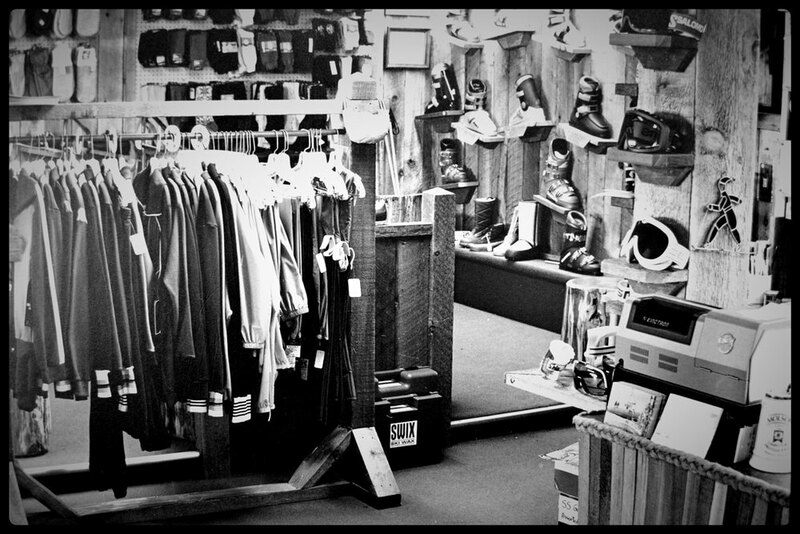 For the next eight years Ski Tak Hut offered Island skiers a great little shop to get outfitted for a day, a week, or a season of skiing. The store’s main entrance was located in Simms Alley, in downtown Courtenay, where there is still parking and a downstairs entrance into the present day demo and rental center. The first few seasons saw a slow, but steady increase in business, with Forbidden Plateau skiers being the main customers. Skiers also came from other parts of the Island that had ski areas such as Mount Arrowsmith in Port Alberni and Green Mountain in Nanaimo. Gradually, the word was getting out if you wanted to get your ski boots fitted properly, or get the right ski gear then Ski tak hut was the right place to go. In 1994 Ski Tak Hut received the local small business of the year award which was graciously accepted by Art and JoAnn. 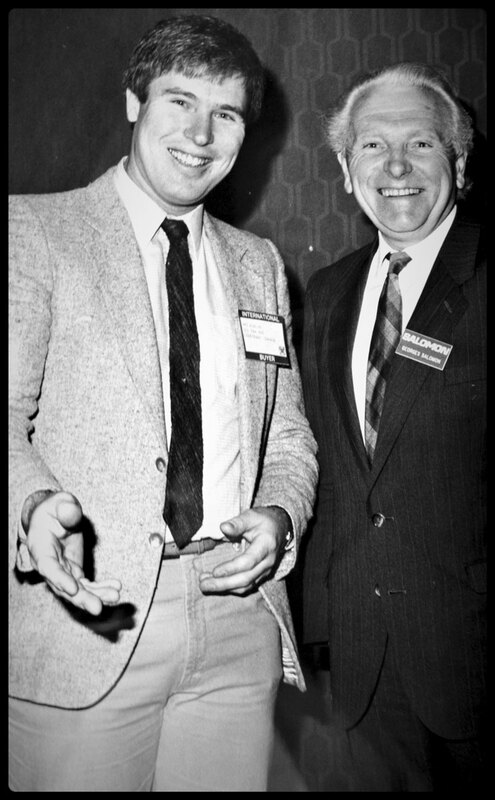 In that same year Al Dunnett became a managing partner to provide assistance to Art in the growing business. Despite the success of the business, the late 90’s saw skiing technology going nowhere; skis were still relatively skinny and had no shape and no rocker! That baby boomer generation was finding skiing a little harder than it used to be! They needed some new technology to make the sport easier… in the meantime… another snowsport was turning heads on the slopes; snowboarding. Snowboards could rip through powder like nothing anyone had seen and it was simply a blast. Skiing was, for some, just not as cool as it used to be. In response to changing demands, Ski Tak opened their snowboard shop (some will know it as the Board Shop at Ski tak hut) and expanded the retail space upstairs. Carving boards were big with skiers who tried the sport and the skate boarders stuck to wider softer boards more suited for free-ride and park. Skiing really took a back seat to snowboarding for the better part of the late 80’s and through the 90’s. Finally, ski makers addressed the need for easier skiing skis and shape skis were introduced. By the early part of the new century park skis were becoming popular with the younger set and the “pioneer” snowboarders started to age (no one can avoid this) and the next generation wasn’t as keen to do “mainstream” stuff ( snowboarding). From the park to the powder skis became fatter, softer and easier to ski than ever before, and skiing was cool again. The last few years has seen some awesome equipment technology from both skiing and snowboarding. When shape skis were introduced to the public, Ski Tak expanded its demo fleet so customers could try these amazing skis. This ski demo service is still available as most of our models are available to try before you buy. In fact we introduced our very successful demo program in the 90’s and it is still proving to be very popular. On the snowboard side, rocker technology has made snowboarding easier and more dynamic than ever and this has been borrowed by the ski makers as well. Big powder, pipe and freeride skis are now becoming the norm for many skiers. Of late, the backcountry has become more popular and the shop has a great selection of backcountry equipment including skis, snowboards and snowshoes. Today the shop is co-managed by Al Dunnett and business partner, Cam McDonald. The goals of shop are still the same as they were in the early days. We are still a locally owned, family oriented business that takes pride in providing the best in customer service. Forbidden Plateau gets Vancouver Island’s first chairlift! Ski Tak Hut opens in the back alley known as Simms Street. The new Shop offers alpine and XC equipment and clothing for sale, as well as custom boot fitting, ski repair, and tuning. ...adding a couple more lifts for island skiers! Mount Cain opens with Lower T-Bar. Ski Tak expands boot fitting and ski sales to upstairs. Back alley entrance becomes a rental and repair center. Ski Tak Hut receives Comox Valley Chamber of Commerce “Business of the Year” award. Shop takes over the old barber shop and introduces The Board Shop at Ski Tak Hut. Finally, a fully dedicated snowboard center! Record 900cm snow base at Mount Washington! Huge snow-load collapsed Forbidden Plateau day lodge and ski operations ceased. Mountain City Cycle moves to the bottom of 5th street and Ski Tak expands product offerings. Ski tak hut opens shop with new expanded alpine touring equipment.